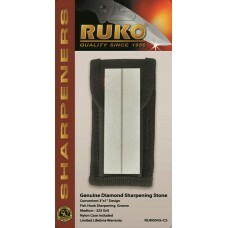 A selection of RUKO® Diamond and Carbide Sharpeners to aid in the care and upkeep of your RUKO® knives. 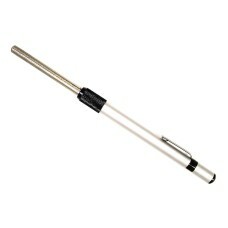 All products come with the RUKO® Lifetime Warranty..
Diamond sharpening pen, 4" retractable sharpening rod with rounded and flat edge including fish hook..
325/600 Grit Double-Sided Diamond Sharpening Bench Stone, 6" x 2", Double-Sided Stone with 325 Grit ..
3" x 1" 325 Grit Diamond Sharpening Stone with Nylon Sheath. 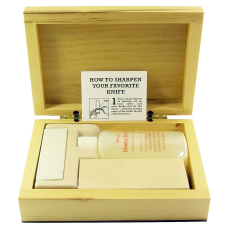 Quickly sharpens knives, to..
Safe-Sharp® Double Carbide Sharpener, Featuring 2 sets of blades for knives and scissors/shears, han..
Deluxe Arkansas Whetstone Honing Kit, 2-Stone Honing Kit with 3" Fine and 4" Medium Whetstones and 3..
4" Medium Grit Arkansas Whetstone with 1 oz. 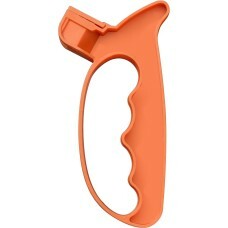 Honing Oil. 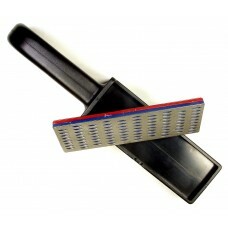 Supplied with Cedar Wood Base for convenien..
3-Stone Honing Block with Cedar Wood Base and 1 oz. 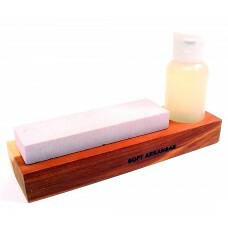 Honing Oil, 6" Stones, Cedar Base and Tria..